Laurel Mountain is a family owned and operated farm located in the mountains of the Cumberland Plateau. 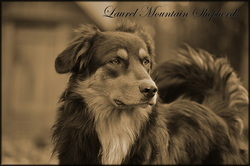 Laurel Mountain Shepherds is a branch of Laurel Mountain Farm. Please enjoy our site and have a God blessed day! English Shepherds are a very old heritage breed descended from the shepherd lines of England and the Southern parts of Scotland. 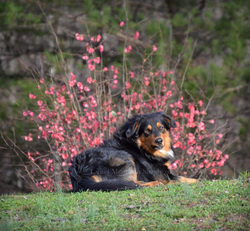 These dogs were selectively bred for the primary purpose of HERDING in an upright, loose-eyed style, as well as versatility in HUNTING and GUARDING. 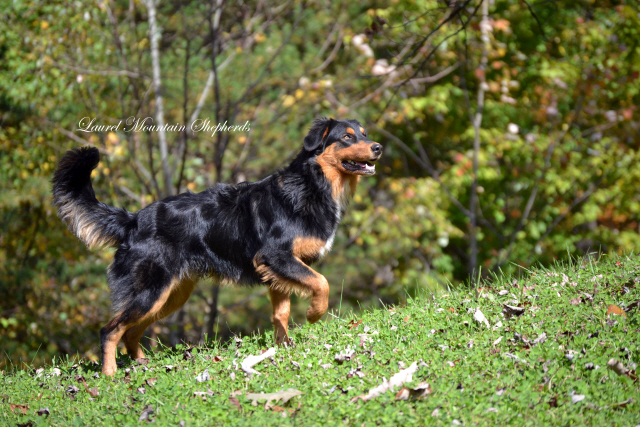 The watermarks of their breed have been: loyalty, being level-headed, responsive, and VERY intelligent. These dogs do not seem to require kenneling from the livestock and are practical for the farmer/ rancher. * Please visit the individual pages to find more in-depth info/ personality for each of our dogs!